University Of Salvington is the oldest and wealthiest educational institution in the Universe of Nebadon .. our Universal Home. University Of Salvington collegiate culture is built upon amplifying in you the eternal light of God, the devotion to expand your love of the Triune Source, and to prepare the individual for eternal life in the Kingdom of Universal Citizenship. Our Universe Father Son Michael is anchoring this vision into the global civilization at this time so that all who desire wholeheartedly to do the will of the Universal Spirit, and who are willing to grow and mature into this living personal relationship with the Infinite Persons of Paradise and their living endowments for humanity, may have the wholehearted opportunity to learn the way of the heavens, and to advance their universe career. 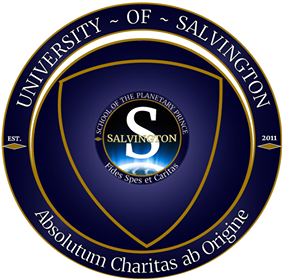 The University Of Salvington is the first ever planetary extension of the University of Salvington which is headquartered upon the home world of the Universe Father Son Michael. It’s growing branches upon this planetary world are a part of the Living Vine of the University Of Salvington and its Colleges within our local universe. 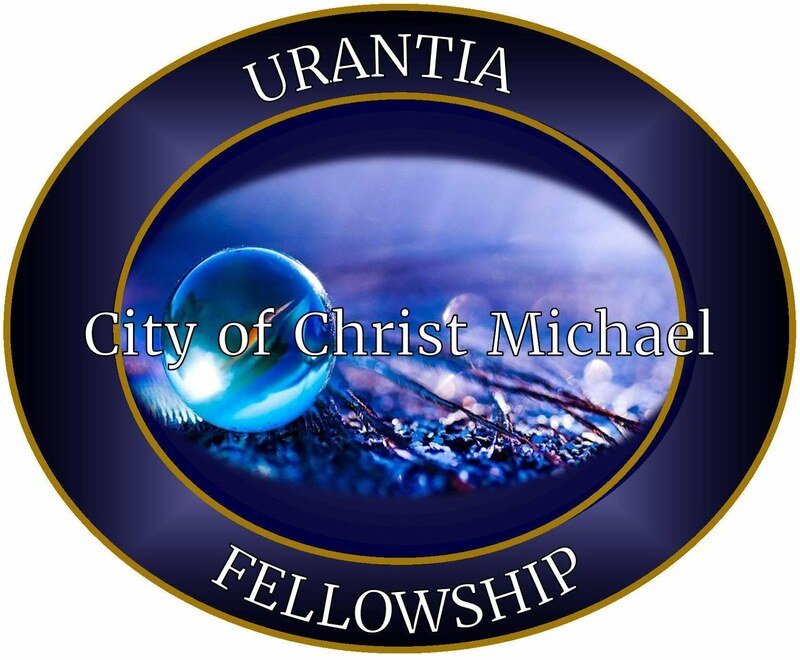 Currently, this educational fellowship and planetary communion with Christ Michael is being offered to humanity with affordable tuition fees and contributions. Participation in the inception phase of this White Lily League University is accepting applications year-round. Here is your invitation to apply to enter into the great halls of learning. After studying the public preachings of the Universe Father Son Michael for a minimum of one year, you may apply to the University Of Salvington to become a member and enter as a Freshman Fellow into the foremost institution for the advancement of your universe career into Cosmic Citizenship and Universal Immortality. The College learning experience of the University is the bedrock of the educational fellowship experience at Salvington. In each term you will experience a combination of academic tutorials as students within your college come together with practical classes, private studies with a focus on the Salvington Ideal of the Arc Of Ascendancy, intensive individual attention in our tutorials, the opportunities to be discussing your evolving ideas on the suggested text readings with your peers in classes, gaining a concentrated attention in applying the daily disciplines as given to the University by the Universe Father Son Michael. In Salvington University, our unique colleges offer a deeper experience of the University Lectures given by Christ Michael, suggested textbook readings, daily Salvington Ideal disciplines and strategies for growing intimacy with the Infinity of God the Father Son and Spirit, and twice each month, the individual colleges experience Christ Michael in his private dialogues for your transfigurative Inquiry. Tutorials, classes, and studies are as given by the college administrators of each college, and are interchangeably shared amongst all the colleges. This helps to supplement and complement your ascendancy work, so you have access to the shared experiences of the whole University as well as those revelations within your college. Application to be admitted into the University requires writing to our Admissions Office. Our acceptance policies look for certain characteristics in applying students. If you are seeking to become a Freshman Fellow of the University, our primary culture fosters for the individual a deeply held faithful trusting relationship with the Universal Absolute Parenthood of God — the Trinity Host as their Personality Circuits of Intelligence reach outward into and throughout creation. The philosophical precepts and the ideal of the Universe Son Michael and the Universe Spirit build the personality into a unified force wherein divinity and personality are blended and intertwined in one drive and one singular motivation — the fulfilling of the law and the living of God’s will and intent. A righteousness of character in terms of priorities and purpose develops, an understanding of the plan and the way of the Second Source as it is revealed through the Universe Son Michael is illuminated and clarified for the individual personality. A preparation is given to individuals so that each may attain to their own Second Birth into this Universal Light and Life — Universal Citizenship — is the immortal initiation that all evolutionary personalities must achieve as they go forth into the advancing spheres .. the worlds of light and life in our universe. 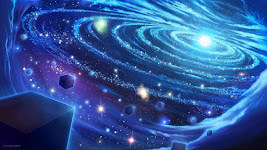 We welcome all inquiries, and every possibility is afforded those who qualify for advancing their universe career through the divine disciplines of our apostleship with the Universe Son Michael and the Universe Spirit with the Host of Heaven. The Living Fragment of God the Father is within each moral and ethical creature. This Life of God is further developed and advanced as the individual pursues righteousness of character decisions and the rectitude of carrying their mortal limitations and human life into the Parenthood of God and the Brotherhood and Sisterhood of the Universes. Applications for the University of Salvington are received year-round. Our Admissions Team evaluates applicants for the Apostleship of Ascendancy based upon certain criteria regarding the Trinitarian Values which each individual embodies. Trinitarian Values within the mind and heart and personality of the applicant allows an easier integration within the collegiate culture and community of the University. The University Of Salvington is a White Lily League School of the Americas. It is a global educational fellowship and universe communion with the Trinity Persons of Infinity. 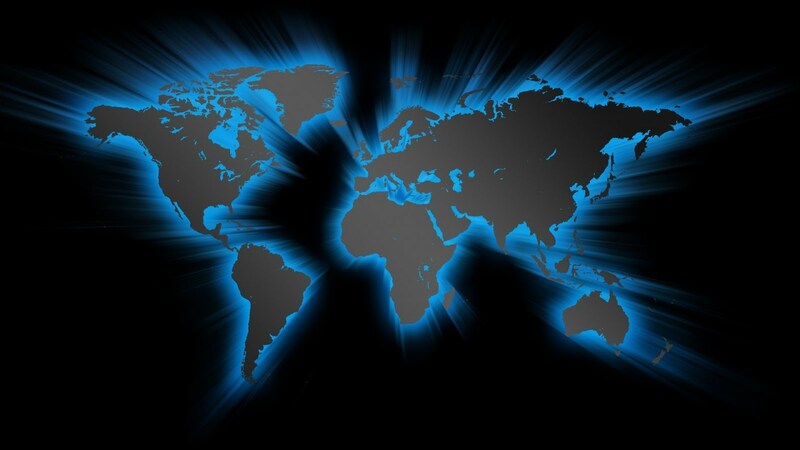 It is an awakening and an expansion of the kingdom of consciousness of the Universal Parenthood of God. 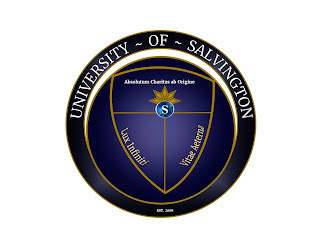 Salvington University is a global educational platform allowing to emerge in the individual personality soul all wisdom, illumination, and ascendancy. It is a dedicated way for every individual personality who desires to accelerate the unfoldment of their own Godhood into the Second Birth of Immortality and Eternal Life through the spirit attainment of their graduation into Cosmic and Universal Citizenship. The Apostleship Of Ascendancy at Salvington is with the Universe Mother Spirit, the Universe Father Son Christ Michael, and the Universal Father individualized Life in you. The education of the University Of Salvington unfolds for the individual an accelerated transformation through the precepts of the Universe Creator Son Michael Of Nebadon. Enter Salvington University as an apostle of the Spirit of Truth Holy Comforter of Christ Michael. Practice daily the Prayerful Intimacy I’s with the Trinity Persons and their Infinite Intelligence Circuits in order to wash away all obstructions in achieving a more fruitful intimacy with God who is your own individualized God Life. These are the divine teachings of Christ Michael Of Nebadon who has come and taken upon himself a 21st Century bestowal to reach humanity. The Master has made it clear that the precepts regarding Prayerful Intimacy with the kingdom of heaven must begin with, and be centered in, the dual concept of the truth of the Parenthood of God and the correlated fact of the Brotherhood and Sisterhood of humankind. 1. The possession of new courage and augmented spiritual power. The gospel of the kingdom is designed to set man free and inspire him to dare to hope for eternal life. 2. The 21st century gospel carries a message of new confidence and true consolation for all women and men. 3. It is in itself a new standard of moral and eternal values, foundational virtues corresponding directly with the Infinite Mother Spirit. A new purpose is transposed upon the renewed mind of the individual, an up reaching character and ethical yardstick grows and develops wherewith to measure human conduct. It portrays the ideal of a resultant new order of human society, and a new and high ascendant order for human beings to arise into. 4. It teaches the pre-eminence of the spiritual and eternal compared with the material; it glorifies spiritual realities and exalts those superhuman ideals which carry men and women upwards towards personal ongoing communion and spiritual relations with the Infinite Intelligence. 5. This new gospel holds up the living Ideal of the immanency of God, the accessibility of his divine circuits of intelligence and power, and it unleashes the supreme adventure of spiritual attainment as the true goal of living. Human life receives a new endowment of moral value, eternal virtuous living, and divine dignity. 6. Michael teaches that eternal realities are the result (reward) of righteous earthly striving and the alignment of atonement with God who is the Life of every individual. Humankind’s mortal sojourn on earth acquires new meanings consequent upon the recognition of a noble destiny. 7. The new 21st century gospel affirms that human salvation is the revelation of a far-reaching divine purpose to be fulfilled and realized in the future destiny of the endless service of the salvaged sons of God. University Of Salvington makes accessible these values and divine virtues in the individual personality ascent towards understanding the vision of eternity, the verities of the Universe Father Son Michael, and the ultimate victory of becoming birthed once again through the Hand of the Infinite. Learn daily to experience a personal religious contact and connection, a purity of purpose, and a profoundly authentic .. genuine .. empowering .. relationship with the Universal Spirit of Life and Love. Join together daily, weekly, and monthly with other individuals globally through our high-technology Planetary Campus and the University Of Salvington Global Amphitheatrum for Christ Michael’s University Lectures, the unique educational structure of the University Of Salvington and it’s Wisdom Colleges of Activities offering small group and one on one collegiate connections with other student apostles learning to become awakened, sovereign, and living in greater God mastery. For information on how to act now for the upcoming semester, and to get involved in applying to become a candidate of the University Of Salvington, please write to our Admissions Office.